MADISON BIKE BLOG: Can Wisconsin Do A Better Job In Protecting People Who Ride Bicycles? Can Wisconsin Do A Better Job In Protecting People Who Ride Bicycles? The past couple years have shown that Wisconsin drivers no longer pay attention while driving and are much more likely to smash into a bicyclist from behind. This type of crash used to be extremely rare in our State. 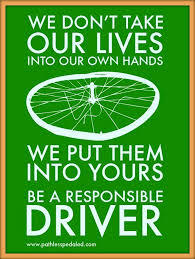 One need only look around at people behind the wheel of motor vehicles to determine the reason for the increase. The vast majority of people behind the wheel in Wisconsin are using their phones. The next time you are at a red light, look around, and see what happens when the light turns green. The person reading or typing on their phone will continue as they begin to drive. Wisconsin lawmakers have failed all of us. Phone use behind the wheel kills all types of people, not just people who ride bicycles. Drunk and drugged driving are vigorously prosecuted and most cases involve mandatory minimum jail or prison time. People who notice someone swerving will take pleasure in calling 911 to get the drunk off the road but those same people never report a person using their phone while the car is moving. Lawmakers in Wisconsin have decided the worst punishment for using a phone while driving is a small fine. This law is rarely enforced. Ask your friends and loved ones if they have or know someone who has been ticketed for using a phone behind the wheel. 8. 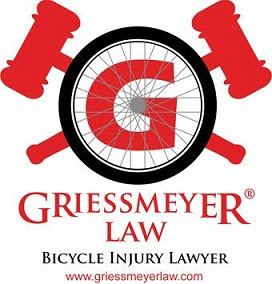 March 2015, a driver hit person riding bicycle from behind in Sheboygan and killed him. 9. February 2015, a driver in Leon hit person riding bicycle from behind and killed him. 10. July 15, 2016 a driver in Cross Plains, WI hit person riding bicycle from behind and killed her. 11. August 5, 2016 a driver in Oregon, WI hit person riding bicycle from behind and killed him. 12. June 22, 2016 a driver in Algoma, WI hits person riding bicycle from behind and kills him. 13. March 3, 2016 a driver in Oconto, WI hits person riding bicycle from behind and kills him. Other States and Countries are taking important steps to prevent things like the above. For example, the city of Oakland, CA just converted a five lane street into three lanes for motor vehicles and two sets of protected bike lanes. According to people for bikes, biking is up 78 percent, walking is up 100 percent and traffic crashes fell 40 percent. The median speed of cars now matches the limit of 25 mph. The mayor of Paris has already banned cars from a large section of the city. Despite furious anger from motorists, she has further plans that include by autumn 2018 extending the car free zone west by a kilometer, converting car space into a two way bike path, cutting Paris' car space by 50% and ultimately ridding central Paris of all non resident cars altogether. Paris, Brussels, Bogota, Jakarta, and Copenhagen have all successfully held car free days in their cities. If huge worldwide destinations are leaning towards car free areas and recognizing the importance of bicyclists and pedestrians, maybe it is time Wisconsin jumps on board, especially with some of our larger cities.